Can you hold consciousness in your hand? Or point to it? No. But that’s a puzzle in itself. After all, how can something that we all experience be so hard to grasp? So difficult to explain? So mysterious that it resists all attempts to define it, to calculate it, and to measure it? We know that consciousness is a thing. But what else do we know? Before we try and answer that in full, one thing that we can’t dispute is its infinite power when it comes to change work. 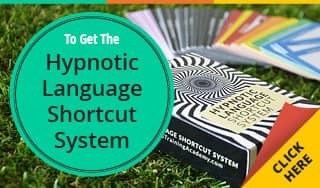 And that how as a hypnotherapist or hypnotist, your understanding of this power underpins everything you do – as you’re constantly working with people who are in various states of consciousness. So, What Is Consciousness Then? That’s possibly the shortest and most succinct definition for consciousness you’re ever likely to find. But it might surprise you to know that it wasn’t even his idea. Whoever said it first, the problem still remains. It tells us what it is, but not how or why it occurs. We can’t isolate a part of the brain and say that’s where consciousness comes from. But none of that stops people from trying. What you end up with is a collection of insights and explanations that all help to make sense of consciousness in their own way. One technique that helps them approach the topic is inductive reasoning, the process of moving from specific instances to general statements. This has fueled an ongoing debate between two camps known as dualism and physicalism. In a nutshell, physicalism explains mental processes in terms of the physical. 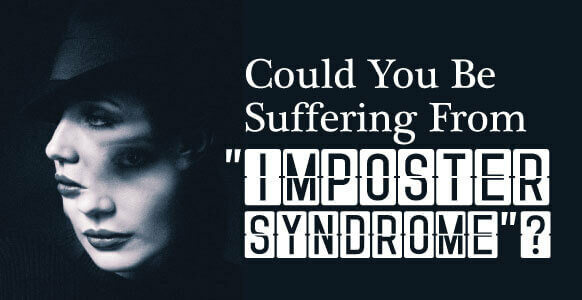 So for them, consciousness is just what happens when certain physical conditions are right. When atoms and molecules are arranged in a certain way, for example. Dualism, on the other hand, states that there are physical and non-physical substances in our bodies, and that consciousness is one of those non-physical things. They don’t give it a name, like energy or electrical charge, because they don’t know precisely what it is. To make the problem even more complicated, there are many types of dualists. Like Cartesian dualists and property dualists. And, as you’d expect, each “type” has its own ideas about the nature of consciousness. But while they argue over whose theory is the most convincing or the most watertight, they’re not really helping us reach a better understanding. People being people, they don’t give up. They keep working on the problem, coming up with new ways to look at it and comprehend it. 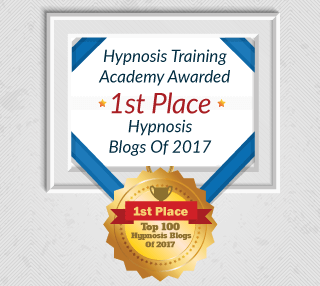 Their insights make it possible for us to at least grasp the essence of consciousness, which is important for anyone interested in hypnosis or hypnotherapy. So to help you understand it better yourself, here is a collection of videos to tackle the idea of consciousness head-on. They do their best to tell us what it is, what tremendous power it has, and how we can put it to use in our everyday lives. You’ll find a brief summary of the contents of each video below its link, but you’ll probably get a lot more out of it if you take the time to watch the videos themselves. In this 2-minute “Philosophical Espresso Shot” filmmaker and performance philosopher Jason Silva talks about the Godelian loop, which explains that your brain is like the hard drive of a computer. It stores patterns that mirror the external world, and of course your brain is also a part of this external world. What’s also interesting is the fact that this internal model of the world includes you, as the observer, making the observation. This is the point where the true sense of self emerges. This is a useful concept for two reasons. First of all, the idea that your brain stores patterns means that it can store new patterns. Any patterns that aren’t helpful can be replaced by ones that are. Secondly, if a person’s sense of who they are is determined in part by their view of the external world, then changing that view will automatically change their self-perception. 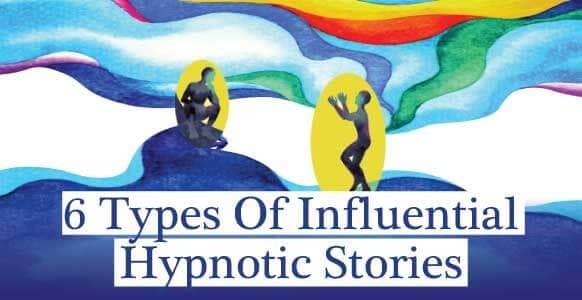 Once your hypnosis subject recognizes that they’re a part of the world, that they influence it and are not just influenced by it, then their self-awareness will take a giant leap. They’ll be able to develop a better sense of their own importance, of their place in the scheme of things, which will at the very least, boost their confidence and self-esteem. You’ve probably heard the expression… thoughts become things. If that’s true, then it makes sense that positive thoughts become positive things, and negative thoughts become negative things. Good thoughts will bring you good results, while bad thoughts will bring you bad ones. But is that really the case? Can positive thinking have any actual benefit in your everyday life? To find out just how powerful a thought can be, the maker of this video did an unusual experiment. It involves two identical containers of the exact same rice. Watch what happens when different kinds of energy are directed towards them over a two-week period. You won’t believe your eyes. If you’ve got any subjects who dismiss the idea of positive thinking as hogwash, show them this video. Or better still, get them to try the experiment for themselves. 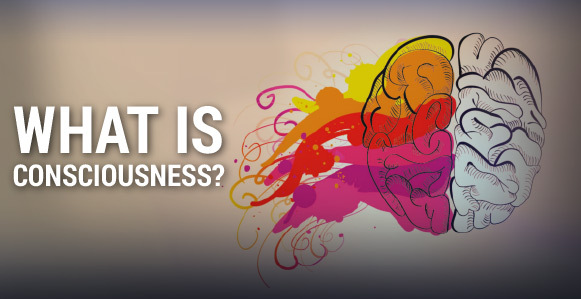 According to Alan Watts, consciousness is a form of awareness, understanding and sensitivity. But it’s also a form of ignorance. Why? Because your senses and organs are selective. They pick out certain things and focus on them. They have to do it that way, because otherwise you might feel overwhelmed. But in doing so, they “screen out the profound” as Watts puts it. This is another way of saying you need to become more aware. You need to expand your consciousness so that you don’t miss out on what’s happening around you. What the hell is water? That’s what one fish asks another. In this video, David Foster Wallace addresses the 2005 graduating class of Kenyon College, where he explains how the most obvious and important realities are often the hardest to see and talk about. Things like boredom, routine, and petty frustration. It’s easy to operate at an automatic unconscious level, thinking you are the center of the world. But sometimes you need to step back. You need to see things from other points of view. You need to expand your consciousness, pay attention, and learn to think differently. Whatever thoughts are going through your mind, you can choose to change them. You always have other options. You can decide for yourself how you’re going to see things and how you’re going to think about things. Like the fish mentioned above, you can learn to expand your awareness so you don’t miss what’s hidden in plain sight around you. In this video Alan Watts explains that the “real” you is the whole universe. You’re doing what the whole universe is doing, in the same way that a wave is doing what the whole ocean is doing. You’re an integral part of something much bigger than yourself. The video goes on to tackle the issue of fear of death. For many people, the thought of dying and ending up in a bleak, black emptiness is incredibly frightening. But as Watts explains, that’s simply not possible. Nature abhors a vacuum, and so therefore you can’t have an experience of nothing. It’s more likely that you’ll have an experience that’s the inverse of being born. You are the world, and the world is you. You’re part of a natural and ongoing cycle, and death is not the end but simply another stage in that cycle. Jim Carrey explains that the universe is created by everyone. We all contribute to its creation through our thoughts, our intentions, and our desires. So whether you pay for a front row seat or have to settle for the last seat in the back row, your contribution is just as significant and just as worthy. You’re still responsible for creating the event, just because you’re there. Carrey adds that, despite what we keep being told, life’s not that bad. Unfortunately, many of us are influenced by negative images and ideas we see on TV and in the media. This condensation of so much conflict and negativity can be frightening. And if you let it, it can work its way into your brain and sabotage your efforts. It’s being able to let those negative emotions wash right through you. When they come, don’t let them stick. Let them drift by without getting under your skin. Doing that will mean that negative experiences will affect you less and less often, simply because you won’t be getting anything out of them. Warning: this video is over 2 hours long. But if it can help you create the reality you want, that’s not a very long time, is it? Have you ever noticed how you can sense someone staring at you from across a room? Or even a darkened cinema? Well, there may be more to it than you think. An observer has a physical effect on the thing being observed. 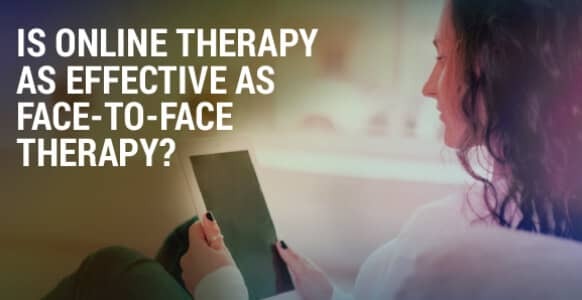 Researchers have to be removed from the thing they’re studying, because it’s been shown that their observation affects the results on a physical level. People experience stress in different ways and in different parts of the body. The brain discharges excess nervous energy into the body, and because it’s different in everyone, that gives clear evidence of a definite mind-body connection. Our bodies give off an electromagnetic energy field that can be measured with basic scientific instruments. This energy flows out from the heart in a 360 degree pattern. Your brain is like the most sophisticated quantum level computer processor imaginable, a living computer with its own power source and the ability to solve problems and generate solutions. Over the years it gets infected with negative programming (i.e. like computer viruses) and only by clearing those away can its full potential be realized. 400 people sending out positive intentions from London can make a leaf glow in a laboratory in Tucson. It takes 8.3 minutes for light from the sun to reach the earth. But there is a force that travels even faster than light, and now telescopes are designed in such a way as to measure this force and take it into account. And that’s just the tip of the iceberg. Break out the popcorn, kick back your feet, and prepare to be amazed. The information from the many, many contributors is as startling as it is fascinating, leading us inevitably towards the same conclusion: You have the power to change your world, and the full extent of that power seems virtually limitless. So this one isn’t actually a video, but you probably need a break after the last one. It’s an infographic that features a bunch of captivating experiments into consciousness. Among other things, find out what Einstein thinks about matter versus energy. Discover the secret behind the singing trees of Damanhur. Read about how thoughts have the power to manipulate ice crystals. 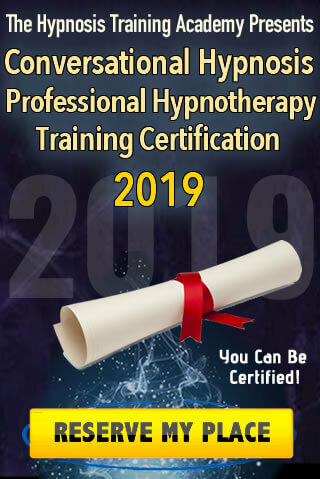 So while the process may be long, it’s one worth pursuing as not only will it provide you with a greater understanding of your own mind, but it will give you the foundations needed to become a great hypnotist. 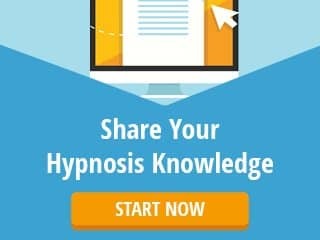 To get started, why not spread the word and inspire someone else to grow their consciousness by sharing this article with them.